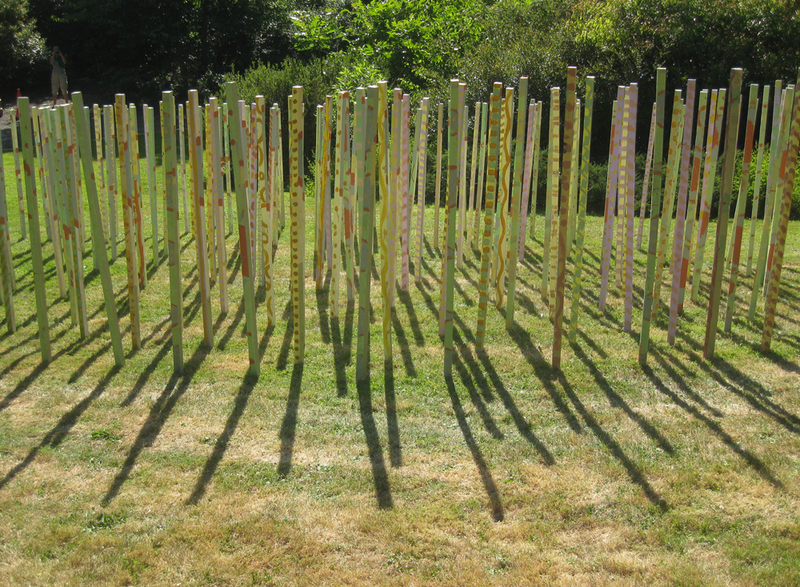 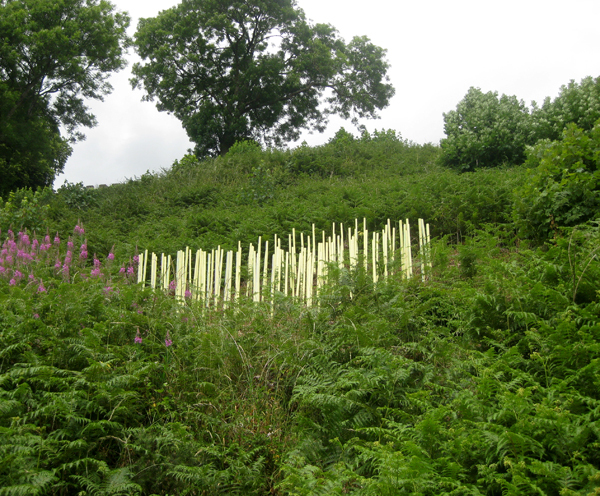 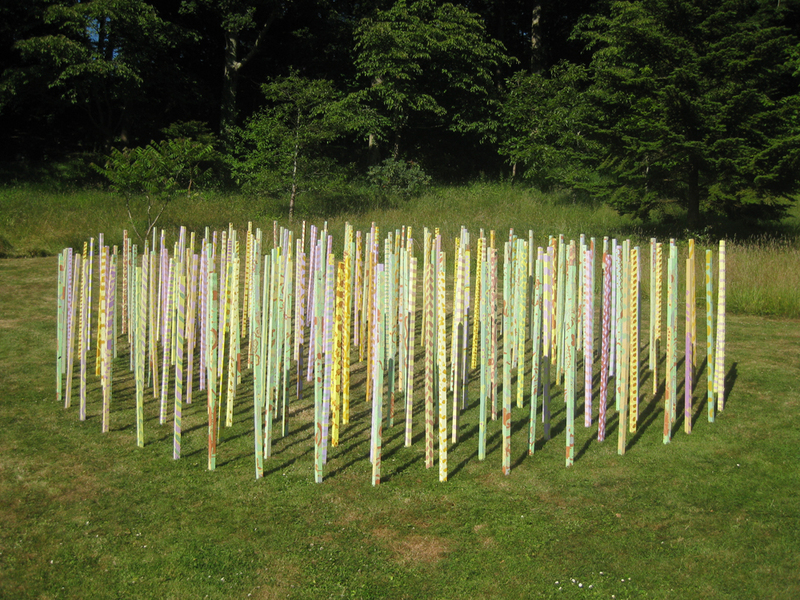 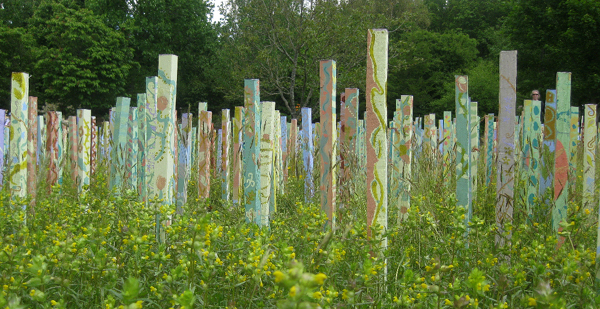 To compliment ‘Meadow Field’, I’ve made two more sculptures at Rosemoor and one on Torrington Common – Today, with lot’s of support, I finished installing the final one! 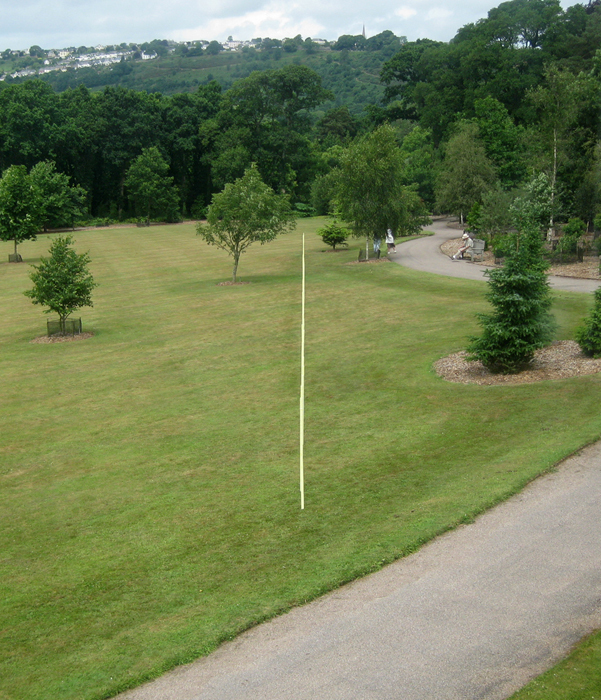 Above you can see ‘Morris Field’, a circular work that from one hilltop viewpoint transforms into a Morris floral design. 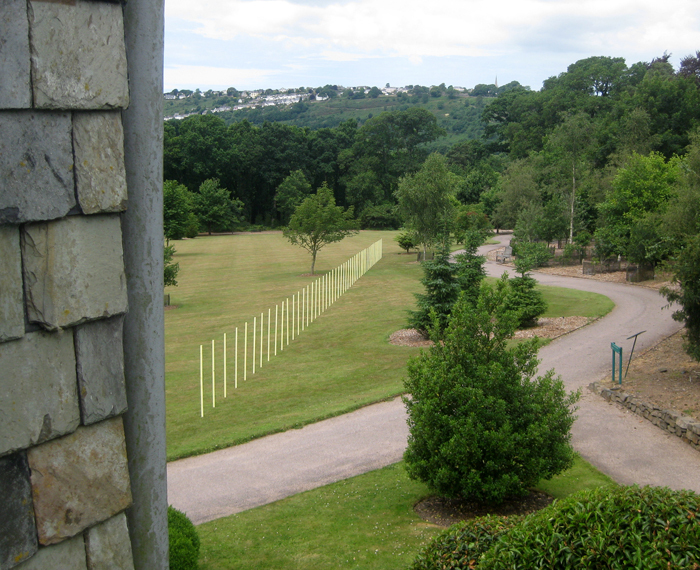 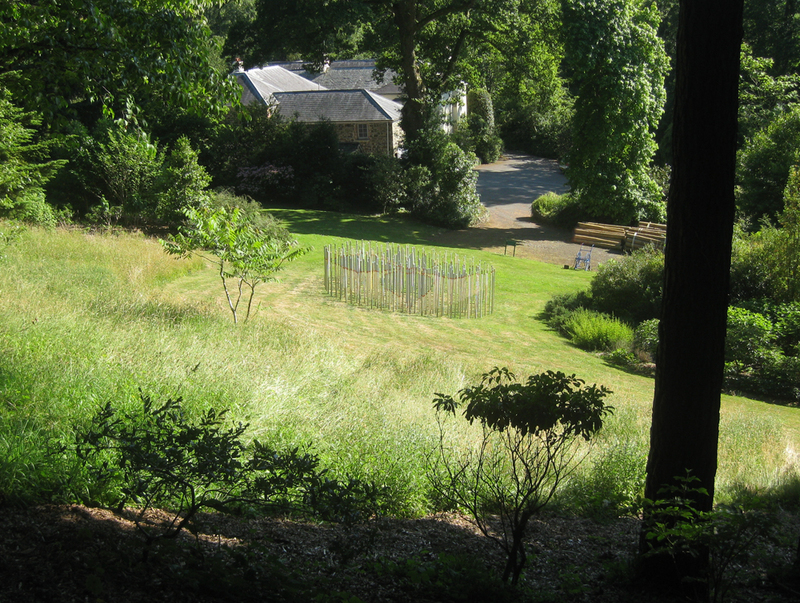 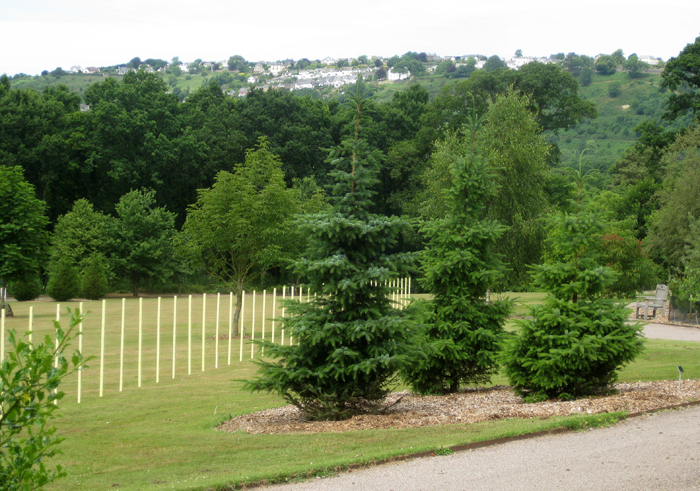 The other work links the Gazebo at Rosemoor back to Torrington by two sculptures. 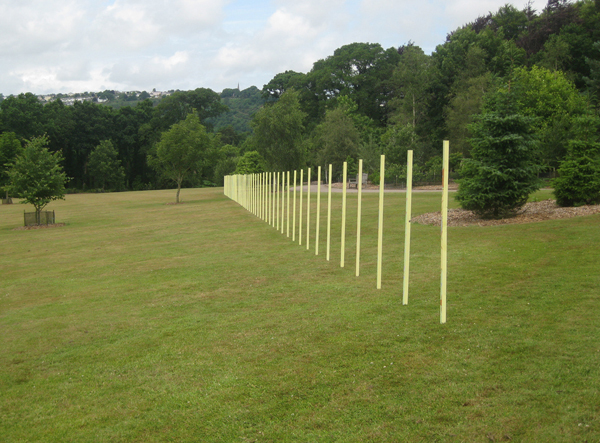 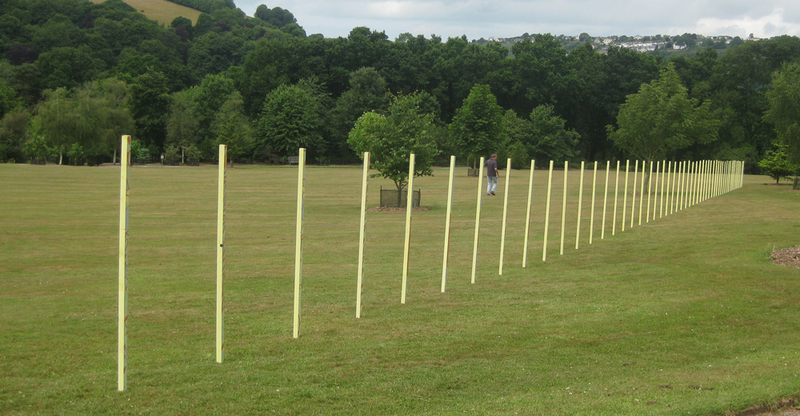 The first a linear work, ‘From Torrington’, drawing a line towards Palmer House (where the Gazebo originally came from) and the second ‘Hidden Field’, a circular work on the Common continuing the ‘crow flying’ journey to Torrington.